From the Statements / Payments tab at the top, select the option Request for Conso File. Fill in the Financial Year, Quarter and Form Type. Click Go to proceed to the Authentication screen. Fill in your Authentication Code if you already have one. Your Authentication Code is valid for one calendar day. 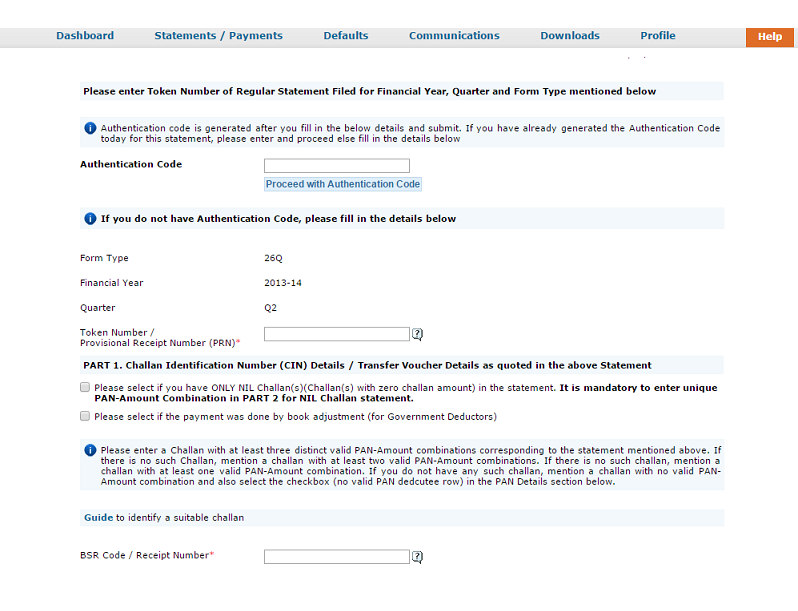 If you do not have an Authentication Code, you will be required to verify your eTDS return details to generate one. 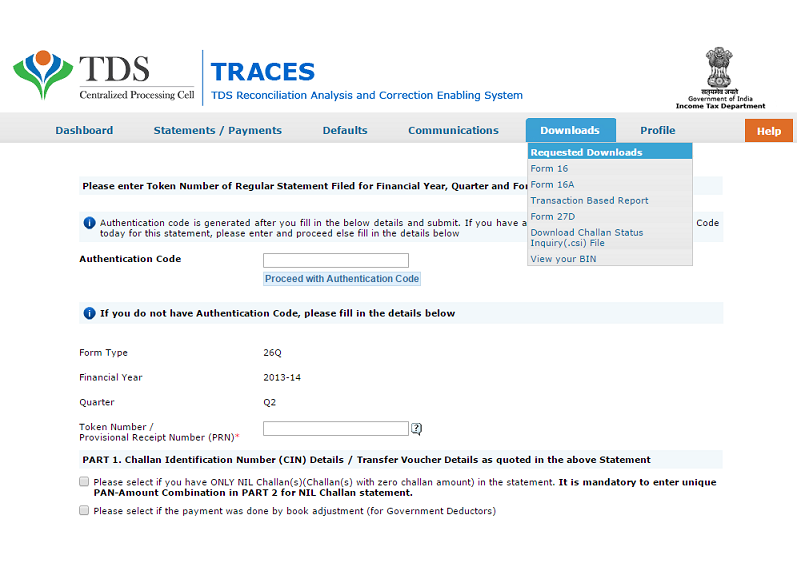 If you had created the original return using ClearTDS, you can easily copy-paste these details. 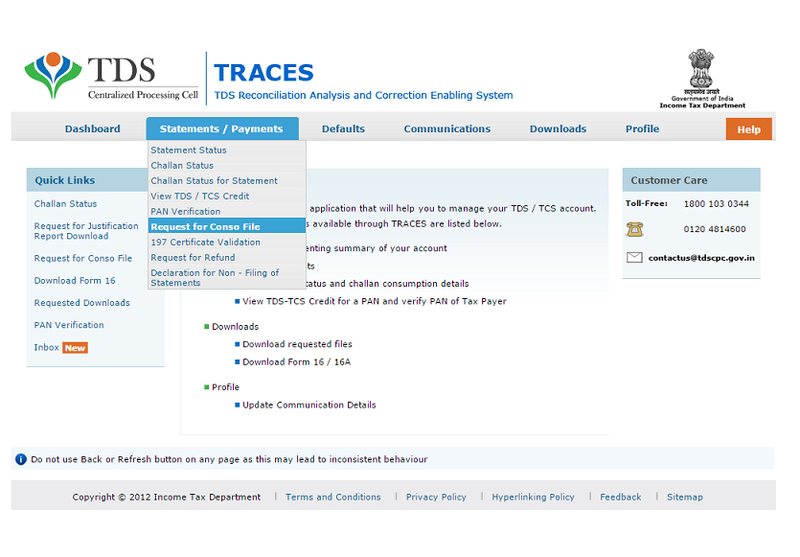 Login to ClearTDS and select the Deductor you wish to work on. You will be redirected to your Dashboard. 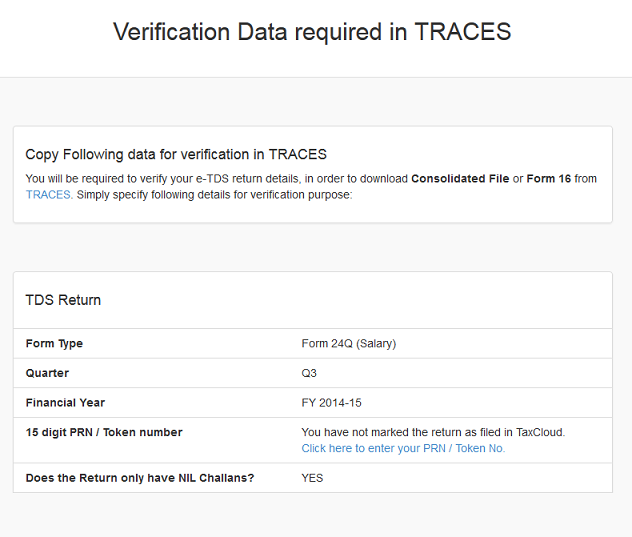 Scroll down to the Forms section and click on Verification data for TRACES. Copy these details and fill them on TRACES. After filling in the details and generating your Authentication Code, you will now be redirected to the Request Number Screen and given a request number. You can save this for later use. Now click on the Downloads tab at the top and select the Requested Downloads option. Now you can select the Consolidated file that you wish to download by filling in your request number, which you have saved from before. You have two download options - HTTP Download, which is preferred for small files, and Download Manager, which you can use if the download file is large and your Internet speed is slow. Remember to keep track of the location where you've saved your Conso file. 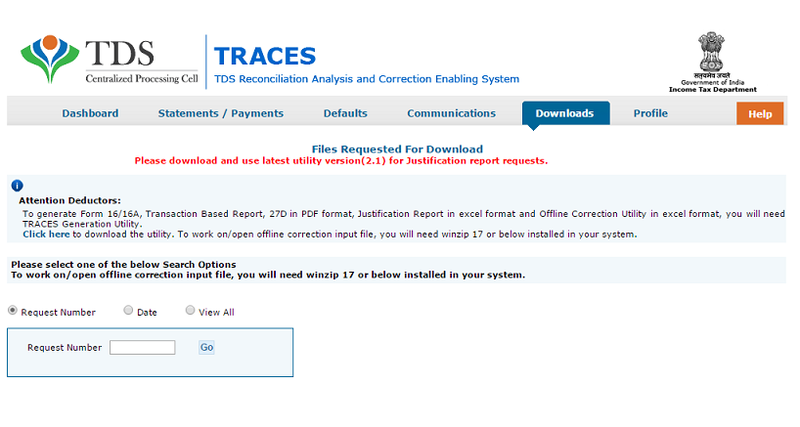 If you still have doubts about the process, contact us or check out the tutorial from TRACES on how to download your Conso file. Go to your Dashboard on ClearTDS. Scroll down to the Correction Statements section. 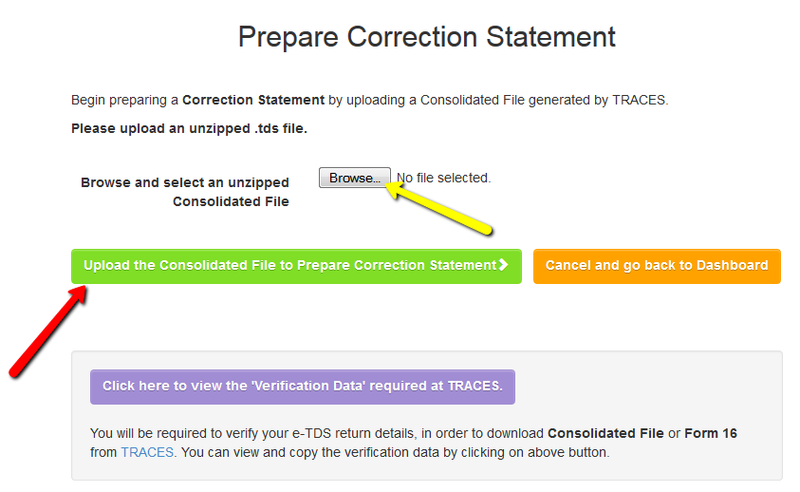 Click on Prepare Correction Statement. That's it! You're done. You can now make whatever modifications you need to make. You do not need to worry about the mode of correction (C1, C2, etc) — ClearTDS automatically figures out the correction modes and prepares your FVU file for you.